Candle wick trimmers ensure perfect wick length. Candle wick trimmer sets are a collection of two or more candle accessories that include a trimmer, as well as other handy tools to keep your candles burning brightly and safely. These sets make terrific gifts for candle lovers for any occasion. Candle wick trimmers are used to cut the wick of a candle to the perfect length for optimal burning. It is generally accepted that this length is 1/4 inch in order to ensure a bright flame and even wax melt. Trimmers are especially useful with brand new candles, but can also be used before relighting. There are a variety of candle wick trimmers available, in different shapes and sizes, and various price points. Some resemble tiny scissors with angled cutting ends, to allow you to trim the wicks of container candles, without having to jam your hand inside the container itself. Others include what is known as a "measuring foot," which makes it easy to trim wicks to the perfect length for safe candle burning. Some wick trimmers also include a tiny tray or bowl at the bottom, to catch the excess wick that is being sliced off. Trimmer sets can be simple and functional, or ornate and decorative. The plain sets are handy to have on hand any time candles are used, while the fancy sets, which are generally more expensive, make thoughtful and useful gifts. The trimmer itself should be made of durable material that is resistant to rust. Stainless steel is your best bet here. 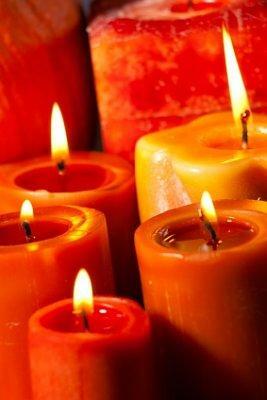 Ensure that the blades of the trimmer are sharp enough to cut through a candle wick with one slice. Having to hack away at the wick will result in an uneven wick surface, which may cause uneven burning. If a candle lighter is included, check to see if the lighter is refillable for the best value. Check to make sure that instructions are provided for care and use, for each item included in the trimmer set. 100 Candles - This set includes a comprehensive candle wick trimmer along with a dipper. Keystone Candle - The Wickmaster set includes a trimmer, lighter, and snuffer all in one tool. Amazon - This set includes a trimmer and a wick dipper. Candle wick trimmers and sets are essential tools for candle lovers. They make terrific gifts for friends, relatives, teachers, and anyone who enjoys candles. For a thoughtful bridal shower gift, consider putting together a basket with lots of candles, holders, and a wick trimmer set.